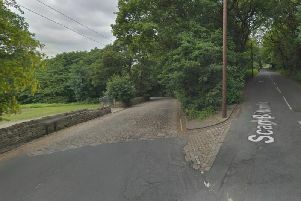 Detectives are appealing for help to find a gang of motorcyclists involved in a suspected arson attack at a house in Calderdale. The incident happened in the early hours of this morning (17 August) at a property on Rochdale Road in Walsden. It’s understood four suspects on motorbikes arrived at the property at around 1am and set the door alight. Damage was caused to the door and the house was unoccupied at the time. No one has been injured or damage to any neighbouring properties. Police believe that this was a targeted attack. Anyone with information or saw anyone acting suspiciously is asked to call police on 101 quoting log 088 of 17 August 2018 or by using the live chat facility on the West Yorkshire Police website.